Jess Political, under jockey Donald Watson, winning the $30,000 Billy Montgomery Stakes on Saturday night at Evangeline Downs. 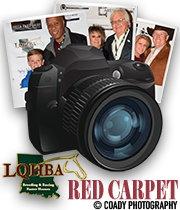 OPELOUSAS, LA—OCTOBER 6, 2018—The start was the story of the $30,000 Billy Montgomery Stakes on Saturday night at Evangeline Downs. Jockey Donald Watson got 6-1 shot, Jess Political, off to the best break in the field and she carried that all the way to a victory by a neck. She covered the 330-yards in :16.489 seconds over the fast track, which equals a speed index of 103. Jess Political was a gate-to-wire winner and had a clean trip. The same cannot be said for the 4-5 wagering favorite, Eying Louisiana Game. She broke from the rail post position and was bothered significantly at the start. Jockey John Hamilton rallied the filly nicely after the early problem and she got up for third. Shez Dead Serious, a 12-1 longshot, closed very strongly after a sluggish start and finished second. The victory is the fourth in nine lifetime starts for Jess Political and the $18,000 first-place purse increases her lifetime earnings to $89,461. Jess Politcal returned $15.60 to win, $5.20 to place and $4 to show. Shez Dead Serious paid $9.20 to place and $5.60 to show. Eying Louisiana Game paid $2.80 to show. Jess Political was bred in Louisiana by J.E. Jumonville, Jr. The 3-year-old daughter of multiple stakes sire Jess Louisiana Blue is owned by Aymond Bates, LLC. and trained by Kenneth Roberts, Sr. She is out of the Jet Black Patriot mare Apolitical Jet. Runner-up Shez Dead Serious picked up $6,000 for second. Trainer Larry Kopycinski saddled the daughter of Swingin Jess for owner Pete Scarmardo. Narciso Flores bred the graded-placed filly, out of Deadly by Leaving Memories, in Louisiana. Ridden by Noe Castaneda, the sorrel filly has earning of $112,297. Game Patriot filly from the Mr Jess Perry mare Eyeing Miss Perry. 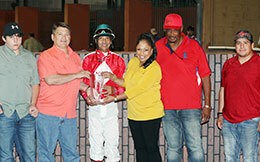 She increased her earnings to $53,506 after picking up $3,300 in the Billy Montgomery. Di Maria, Patriots Leaving You, Fastdashing Lassie, Non Stop Patriot, Jess A Corona Baby, Rf Shez Leaving You and Tk Zoomaway completed the field. 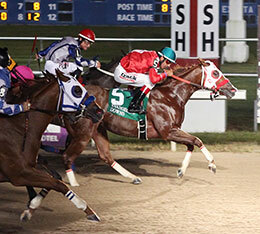 Live racing at Evangeline Downs will resume on Wednesday night with a nine-race program. Post time on Wednesday will be 5:35 pm Central Time. 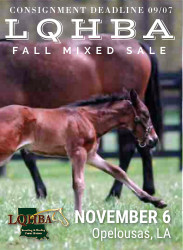 For more information on the American Quarter Horse season at Evangeline Downs, visit the track’s website at evdracing.com. Evangeline Downs’ Twitter handle is @EVDRacing and the racetrack is also accessible on Facebook at www.facebook.com/EvangelineDownsRacing. Evangeline Downs Racetrack Casino & Hotel is owned by Boyd Gaming Corporation, a leading diversified owner and operator of 22 gaming entertainment properties located in Nevada, New Jersey, Illinois, Indiana, Iowa, Kansas, Louisiana and Mississippi. Boyd Gaming press releases are available at www.prnewswire.com. 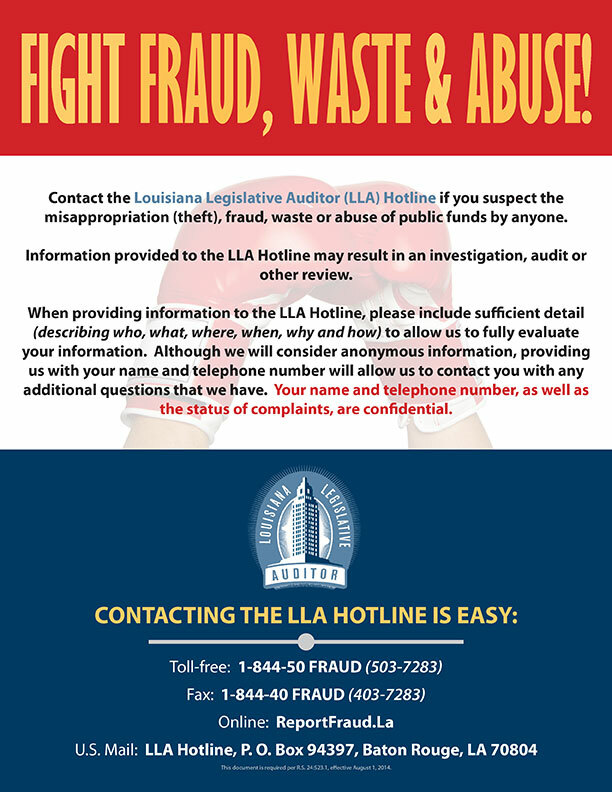 Additional news and information can be found at www.boydgaming.com, or evangelinedowns.com.